Last week, I wrote an introductory post about the dilution effect. Topics covered included 1) What is the dilution effect? 2) How does the dilution effect work in the Lyme disease system? 3) How do tick density and the prevalence of infected ticks affect human disease risk? 4) What conditions must be met in order for the dilution effect to occur in any given system? You may need to read that post to understand this post. How often does the dilution effect occur in disease systems? Does high biodiversity always dilute disease risk? Does high biodiversity sometimes dilute disease risk? Does high biodiversity never dilute disease risk? Is the literature biased towards studies that find dilution effects? Does the dilution effect really happen in the Lyme disease system? Are the five conditions/assumptions that must be met for the dilution effect to occur reasonable? How often are those five conditions met? At what spatial scales do we see a dilution effect? Before I start talking about the debates, I need to explain why Lyme disease is such a big focus. In 2000, Drs. Richard Ostfeld and Felicia Keesing introduced the dilution effect hypothesis to the ecological literature using Lyme disease as their example system. Much of the subsequent work regarding the dilution effect has involved the Lyme disease system, and much of that work has been carried out by Ostfeld, Keesing, and their collaborators. So, when someone wants to cite something about the dilution effect, they usually cite something about Lyme disease and usually something published by Ostfeld and/or Keesing. And when someone wants to argue that the dilution effect is far more uncommon than the literature suggests, they criticize the Lyme disease work. So, my first disclaimer is that I have tried to be unbiased in summarizing these debates, but that was hard! The two review papers are much longer than the responses by Ostfeld and Ostfeld and Keesing, so we don’t get to hear as much of their side of the debate. Therefore, we need to cut them some slack throughout. Ostfeld and Keesing are phenomenal scientists who repeatedly promote further research and discussion regarding the generality of the dilution effect, and I hope this post facilitates that goal in its own small way. My second disclaimer is that I am not Randolph, Dobson, Ostfeld, Keesing, Lafferty, or Wood. So, I can only summarize their opinions based on what they published. I have done that to the best of my ability. AND NOW: MORTAL KOMBAT!!!! I remind the audience that this cartoon is just for fun. No scientists were injured in the making of this blog post. The first review paper was written by Randolph and Dobson (hereafter RD). Ostfeld (hereafter O) then responded to the review paper in a short, 2-page commentary. Then R responded to O with a short rebuttal. Randolph, S.E., and A.D.M. Dobson. 2012. Pangloss revisited: a critique of the dilution effect and the biodiversity-buffers-disease paradigm. Parasitology 139: 847–63. Ostfeld, R. S. 2013. A Candide response to Panglossian accusations by Randolph and Dobson: biodiversity buffers disease. Parasitology 140:1196–1198. Randolph, S. 2013. Commentary on ‘A Candide response to Panglossian accusations by Randolph and Dobson: biodiversity buffers disease’ by Dr. R. Ostfeld. Parasitology 140: 1199–1200. Continuing on that vein, the literature is biased towards studies that find a dilution effect. Trying to make generalizations about biodiversity metrics and disease risk is silly. We should really be focusing on the role of community composition in disease risk. The dilution effect doesn’t always happen. It only happens under very specific conditions, and those specific conditions may rarely arise. 1. By focusing mostly on the prevalence of infected ticks, the dilution effect literature often ignores the importance of tick density. [Condition 5 in my previous post.] For the dilution effect to happen, increasing host biodiversity must reduce the prevalence of infected ticks without also increasing the density of ticks. Or, if tick density increases, it must not overwhelm the effect of reduced infected tick prevalence. RD find it unlikely that this is the case. They argue that increased biodiversity will tend to lead to increased host density, which should lead to increased tick density. Ostfeld responds that there isn’t any evidence to support that increased host density leads to increased tick density. Furthermore, Ostfeld notes that opossums might actually decrease tick density by grooming off and eating ticks. R returns that there is a “range of papers”3 supporting increased tick density with increased host density. 2. Researchers are biased towards finding a dilution effect. That bias leads people to 1) design experiments and models destined to find a dilution effect and 2) misinterpret results or mis-analyze results so that data supporting neutral or amplification effects are said to support dilution effects. This is quite a claim! Lest you should think I’m blowing this out of proportion, here is a direct quote from R, who thinks that there has been “an unwarranted stream of studies that either misinterpreted results in favour of the dilution effect, or sought out those idiosyncratic ecological conditions under which it might actually occur.”3 The example that RD use to back up this argument is a Plos One paper by Ostfeld et al. (2006). Ostfeld et al. (2006) looked at 13 years of data from several field plots where measures of Lyme disease risk, climatic variables, and the abundances of mice, deer, chipmunks, and acorns had been recorded. They found that the abundance of deer didn’t matter to Lyme disease risk at all, and climatic variables were only slightly important. Instead, Lyme disease risk tended to be high three years after a year with high acorn abundance. That is, acorn abundance is high one year, mouse abundance is high the next year, and Lyme disease risk is high the third year when there are lots of hungry nymphal ticks looking for hosts. RD don’t like the statistical techniques used by Ostfeld et al. (2006). First, they argue that Ostfeld et al. (2006) had a pseudoreplicated study design that didn’t allow them to properly incorporate deer abundance in their models. Second, they argue that the relationship between mouse abundance and infected tick density was entirely driven by a single outlier, which leaves too much riding on a single year. You can see the full criticism of the statistics here. Ostfeld argues that because the statistics weren’t done in a frequentist framework, the pseudoreplication argument is irrelevant. And because the outlier was a rare mast year, it should not be removed. You can see the full response by Ostfeld et al. here. 3. The literature is biased towards studies that find a dilution effect RD call the dilution effect a “mantra” and argue that researchers “preach” that biodiversity always reduces disease risk. Ostfeld argues that no one ever said that biodiversity always reduces disease risk – the conditions necessary for the dilution effect to occur are carefully outlined, and yes, sometimes researchers find amplification or neutral effects. But Ostfeld insists that recent reviews, like one by Cardinale et al. (2012), show that the dilution effect is more common than neutral or amplification effects. RD argue that the dilution effect is not more common than neutral or amplification effects. In fact, RD find the use of the Cardinale et al. (2012) review as a citation “selective,”3 because Cardinale et al. (2012) “specifically warn against making sweeping statements that biodiversity always brings benefits to society.”3 RD find the recent meta-analysis by Salkeld et al. (2013), which demonstrates a publication bias towards studies that find a dilution effect, to be more relevant. 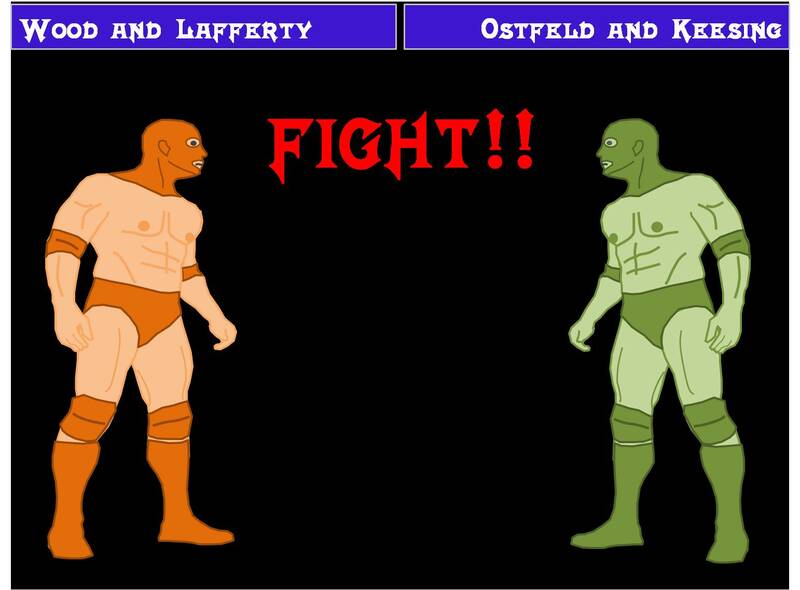 (I’ll come back to this in the Wood and Lafferty vs. Ostfeld and Keesing debate, below.) 4. Trying to make generalizations about biodiversity and disease risk is silly. We should really be focusing on the role of community composition in disease risk. RD spend a lot of time arguing that trying to make generalizations about how species richness or particular diversity metrics affect disease risk is silly, because community composition is likely much more important to disease transmission. O agrees, and points out that the literature clearly designates community composition as “the most relevant metric of host diversity.”2 In other words – yeah, duh, composition is part of diversity, and everyone knows that it is important. I think RD’s point is that if preserving pristine habitats with high biodiversity isn’t enough – if it depends on exactly what species occur in those highly biodiverse systems – then we should make that very clear when we suggest that ‘preserving biodiversity’ is a good way to manage disease risk. For instance, it might not be as important that there are five vertebrate host species, but that one of those species is the opossum, which is not a good reservoir host and tends to groom off and eat ticks. 5. The dilution effect doesn’t always happen. It only happens under very specific conditions, and those specific conditions may rarely arise. The dilution effect literature very carefully outlines the conditions under which a dilution effect is predicted to occur. RD question whether those conditions actually happen in real systems. I already discussed the density/prevalence condition above. RD also “question whether increased richness will usually involve a greater proportion of transmission non-competent host species.”3 This is in reference to Condition 4: the most resilient host species – the ones that are left in low biodiversity communities – must also be the highly competent host species (and vice versa). Ostfeld points out that this is an ongoing area of research. Are highly resilient species usually highly competent? You can see some recent high-profile studies here and here. 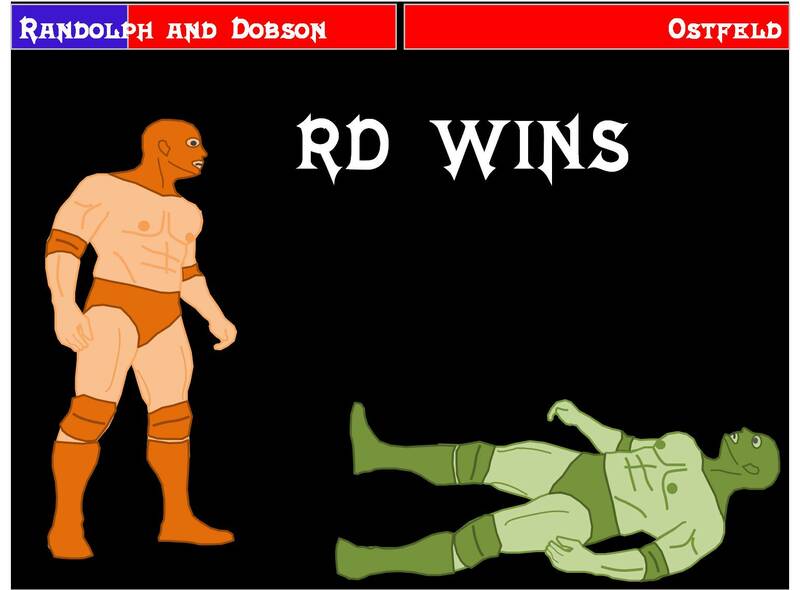 RD vs. O – Who won the debate? Just for fun, let’s pick a debate winner! A panel of parasite ecologists (including myself) voted: RD = 2 votes, O = 1 vote, Tie = 2 votes. RD won by a hair! But hey, who is to say that my panel of judges rules supreme? I open the voting up to YOU, my wonderful audience. Who won?! AND NOW: MORTAL KOMBAT II !!!! 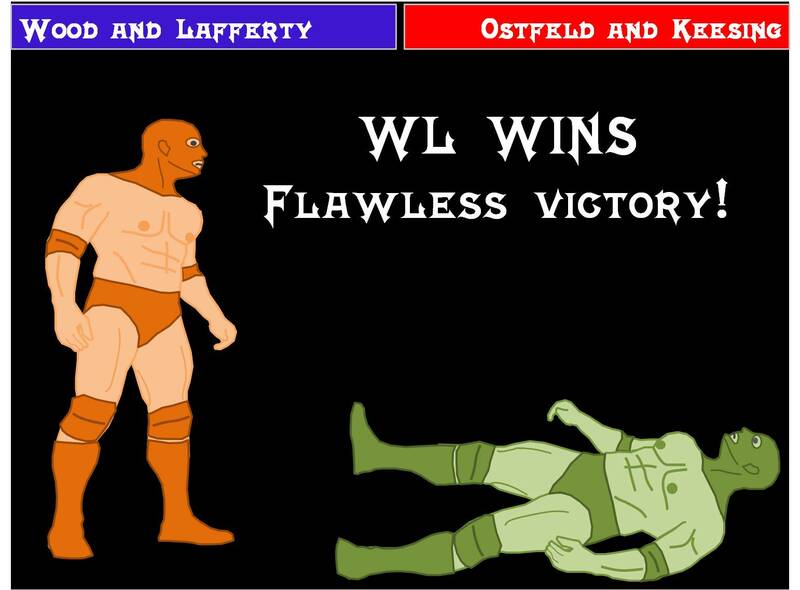 Wood and Lafferty vs. Ostfeld and Keesing In this debate, the review paper was written by Wood and Lafferty (hereafter WL). Ostfeld and Keesing (hereafter OK) then responded to the review paper in a short, 1-page commentary. Then Lafferty and Wood responded to OK with a short rebuttal. Wood, C. L., and K. D. Lafferty. 2013. Biodiversity and disease: a synthesis of ecological perspectives on Lyme disease transmission. Trends in Ecology Evolution 28: 239-247. Ostfeld, R. S., and F. Keesing. 2013. Straw men don’t get Lyme disease: response to Wood and Lafferty. Trends in Ecology Evolution 28:502–503. Lafferty, K. D., and C. L. Wood. 2013. It’s a myth that protection against disease is a strong and general service of biodiversity conservation: Response to Ostfeld and Keesing. Trends in Ecology Evolution 28:503–4. How can we use forestation as a proxy for biodiversity? What is the “traditional” perspective? What is the dilution effect perspective? How can we synthesize the two perspectives? How can we use forestation as a proxy for biodiversity? Measuring host diversity can be pretty tricky. For instance, if you go out to a forest plot and you don’t see any deer, is that because there aren’t any, or is it because you just aren’t seeing them? To get around the difficulty of measuring host diversity, much of the work in the Lyme disease system uses forest fragmentation as a proxy for biodiversity. When forest fragmentation is high, vertebrate host diversity tends to be low – the “just mice” end of the spectrum. When forest fragmentation is low (conversely, when forestation is high), vertebrate host diversity tends to be high. Because much of the Lyme disease work is based on forest fragmentation, WL use forestation and biodiversity somewhat interchangeably throughout their synthesis. What is the “traditional” perspective? Lyme disease (re)-emerged as an important infectious disease of humans in the United States in the late 1970’s. Though Lyme disease had existed in the US long before the 1970’s, there was a period when ticks and Lyme disease were not widespread. Where did the ticks go? Well, ticks are ectoparasites than live on forest animals. So, if we remove forests – say, by cutting down forests to make way for agriculture – there should be no ticks and thus no Lyme disease risk (see the origin on the figure below). Similarly, you’re much more likely to contract Lyme disease in a rural area than an urban area. This is the “traditional perspective.” No forests = no ticks = no Lyme disease risk, so forestation and/or biodiversity must amplify Lyme disease risk. What is the dilution effect perspective? By now, you should know what the dilution effect perspective is. But to recap, the dilution effect hypothesis states that increased host diversity decreases human disease risk. That is, biodiversity dilutes disease risk. How can we synthesize the two perspectives? Heyyyy, wait a second! How can host diversity both amplify and dilute disease risk? Well, that’s WL’s point, exactly. They argue that it is mostly an issue of scale. 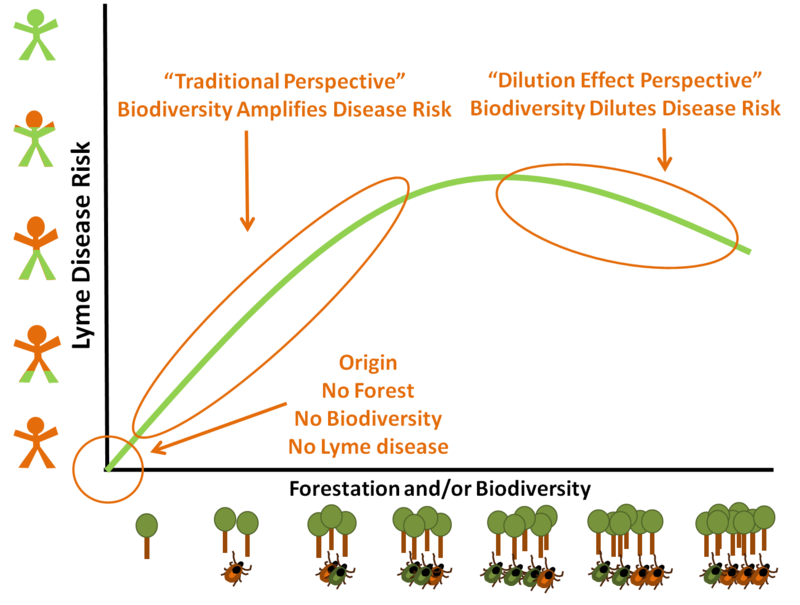 At broad spatial scales (i.e., rural vs. urban), biodiversity amplifies disease risk – that’s the “traditional perspective.” At fine spatial scales (i.e., forest patches), biodiversity dilutes disease risk. They argue that this should lead to a linear, saturating, or hump-shaped relationship between biodiversity and Lyme disease risk, depending on how much of a role the dilution effect plays. So, as you go from a completely unforested area to a somewhat forested area, you’ll see an increase in disease risk. But as you go from a fragmented forested area to an unfragmented forested area (continuing right on the X axis), you might see a decrease in disease risk, if the dilution effect happens. Infection is lime, for Lyme disease. The tick cartoons represent how I think about this working – tick density increases as you go from no forest to some forest, and tick infection prevalence decreases as you go from fragmented to unfragmented forest. Feel free to argue with me about that. Ostfeld and Keesing’s Arguments: OK didn’t like WL’s synthesis of the two Lyme disease perspectives. I would recommend reading their whole response, because it’s only one page, and you can access the PDF here for free. But for those of you who want the less-detailed tl;dr version: OK argue that the logic for the “traditional perspective” is “fallacious”; they think that concluding that Lyme disease risk increases with forestation/biodiversity just because having no forests would result in no Lyme disease is ridiculous. But WL argue that it isn’t ridiculous at all; locations with literally no forests are real places, and those places don’t have Lyme disease risk. OK also argue that there isn’t any evidence that Lyme disease risk increases with biodiversity, but I think WL would argue that all of the studies regarding the “traditional perspective” are evidence for a positive relationship. WL also argue that at global scales (i.e., tropical vs. temperate regions), you see the same positive relationship between biodiversity and disease risk. Is the dilution effect more common than amplification and neutral effects? In their introduction, WL summarize the review paper by RD, where RD suggest that Lyme disease proponents ‘preach’ that biodiversity always dilute disease risk. Again, OK point out that no researchers ever argue that the dilution effect is universal. And again, OK argue that “current evidence that high diversity dilutes far more often than it amplifies, at scales from local to global, is strong [5–7].”2 Lafferty and Wood strongly disagree! In fact, most of of the WL response to OK is about that one sentence. First, like RD, WL argue that the three papers that OK cite to support their claim don’t support the claim at all. Second, WL argue that OK also didn’t cite some recent meta-analyses that found that 1) the dilution effect is idiosyncratic, and 2) there is a publication bias towards dilution effect studies*. WL vs. OK: Who Won? Voting time again! We voted, and WL won by a landslide! WL = 5 votes and OK = 0 votes. But what do YOU think? Better experiments! Can somebody do this with zooplankton and microcosms, please? MORE MATH! (Or is that just me?) Sing it to me in the language of mathematics, and then I’ll really believe you. And let’s get our Ns, As, N/As, and I/Ns straight. ——————————————————————————————————————– *There’s a really good blog post about the Salkeld et al. 2013 meta-analysis. This entry was posted in Cool Literature and tagged debate, dilution, dilution effect, disease, effect, science by dinoverm. Bookmark the permalink. Pingback: Save Wildlife, Save Yourself?